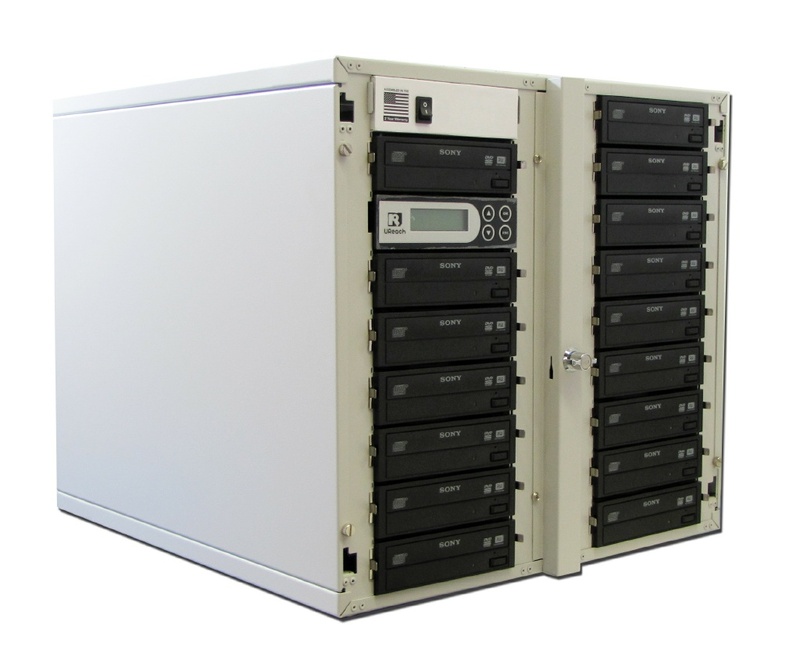 U-Reach's Free-Chain duplicator is at the leading edge of Blu-ray/DVD/CD duplicator technology. It can support a maximum of 255 towers linked to create over 4,000 pieces of discs in just one run of duplication. Three free-chain models of 7 targets, 10 targets, and 15 targets all support 12x Blu-ray, 24x DVD, and 52x CD burning speed. With special "Asynchronous" technology, there is no worry of interruption to the Free-Chain duplication. Each duplicator tower works simultaneously and independently. 1. Special "Asynchronous" technology can prevent interruption during copying. 2. Standalone, No PC or installation procedure required. 3. 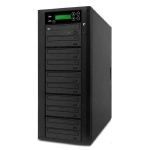 Supports high-speed 12x Blu-ray, 24x DVD, and 52x CD duplication. 4. Supports 256MB~512MMB 64-bit DDR2 SDRAM buffer memory. 5. Has high productivity - supports a large number of tower linkage. 6. Easy and flexible Free-Chain linkage through RJ45 Ethernet cable. 7. The firmware can be updated synchronously for all towers in the chain by applying the firmware from the master tower to all slave towers. The Free-Chain duplicator is flexible and easy to set up. The towers can be increased by adding one by one. Just plug in the Free-Chain linkage cable through the RJ45 connector. 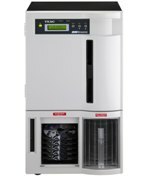 The Free-Chain controller can function as a standalone tower or link to a maximum of 255 towers which means you can create over 4,000 pieces of disc in one duplication run. All models of 7 targets, 10 targets, and 15 targets support 10x Blu-ray, 20x DVD, and 52x CD burning speed. You only need a standard RJ45 cable to connect between towers. With smart asynchronous copying technology, the Free-Chain duplication will not be affected by any interruptions such as a break in the linkage or the power going off on an individual unit. Bit by bit compare though hardware after copy guarantees the data copy integrity. It's a fast, reliable and convenient solution. 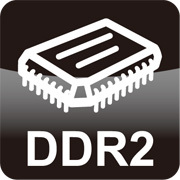 The controller applies the 64-bit DDR2 buffer memory which is 4 times the speed of SDRAM. Only 64-bit DDR2 can guarantee 11 Blu-ray targets to be duplicated above 10x speed. High and stable transmission can reduce the copying fail rate and increase the productivity. U-Reach's duplicator controller offers high compatibility that supports most major optical drives. This advantage allows you to apply the drives with the most economic solution.